The Huawei Google Nexus 6P is an absolutely stunning smartphone.Whether it's the design and build, display, camera, performance, software or battery life, the Nexus 6P is absolutely fantastic in all of these departments. Its minimalistic stock Android 6.0 UI is geared towards offering the user a streamlined, flawless experience, and does so with finesse. The Nexus 6P's only real flaws are the lack of expandable storage and wireless charging, and a price that may be perceived to be too high. However, if you're looking for the ultimate stock Android experience, look no further than the Nexus 6P. A negative point is it is expensive? Compare with the equivalent Samsung or iPhone. Like should be compared with like not some low spec cheaper junker. Specification clearly states that it supports Band 40. I have checked on GSM Arena and Flipkart as well. Kindly edit and correct the info. i have nexus 6p 32gb it has been approx 11 months got it repaired on January and my motherboard was changed now it has again some problem with proximity sensor and battery drain when i got this service center they couldn't find my imei no. it was my good luck that i got the phone to same service center so they accepted it never trust on Chinese product i got to know that this device cost is under 15000 and they charged it so high(35000) with brand name of google ,there is nothing much to be proud of this device rather than name of google nothing could be expected from such companies. I want to like the Nexus 6P. Unfortunately, it has serious connectivity issues with Bluetooth devices that make it impossible to keep this phone. From the beginning my 6P would not maintain a connection to either my Pebble Watch nor the Alpine stereo in my car. This is what happens: Watch: I boot up my phone and pair the phone with the watch. They pair successfully and notifications, etc., all work fine. Then, some random time later - sometimes a few minutes, sometimes a few hours - they disconnect. It is impossible to reconnect them unless I unpair the two devices, restart the phone and then repair them. Of course, the same thing occurs over and over. Car Stereo: I boot up my phone and pair the phone with the car stereo. They pair successfully and hands-free calls, controlling the phone through the stereo, etc., all work fine. Then, again, at some random amount of time later, and usually in the middle of a phone call, the Bluetooth disconnects. The call does not get hung up, it just stops working through the Bluetooth. I then have to take my hands off the steering wheel, grab up the phone, and continue my call with the phone in my hand. Dangerous and against the law in my state. My wife owns a Samsung Note 4 and we have tried pairing both the watch and car stereo with her phone. The pairing goes fine and the Bluetooth works flawlessly. There are several threads online that have many 6P owners complaining about similar Bluetooth connectivity issues. They have offered many suggestions about how to fix this problem. None have worked. They often recommend waiting for the next update from Google to fix the problem. No fix has been forthcoming. I returned my phone a couple of weeks ago and received a refurbished replacement from Google. Without installing any applications, other than the latest updates for the OS and installing the application that controls the Pebble Watch, I tried the Bluetooth. Guess what? The exact same thing. Like I said in the beginning, I really wanted to like this phone. I am really disappointed Google. 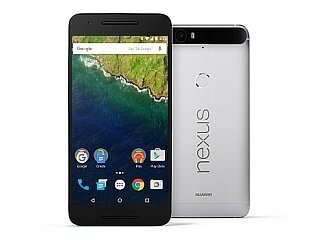 Huawei Google Nexus 6P smartphone was launched in October 2015. The phone comes with a 5.70-inch touchscreen display with a resolution of 1440x2560 pixels at a pixel density of 518 pixels per inch (ppi). Huawei Google Nexus 6P is powered by a 2GHz octa-core Qualcomm Snapdragon 810 processor. It comes with 3GB of RAM. The Huawei Google Nexus 6P runs Android 6.0 and is powered by a 3,450mAh non-removable battery. 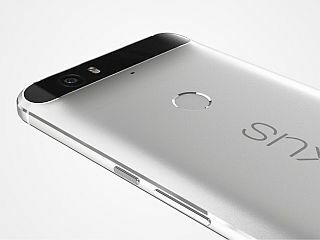 As far as the cameras are concerned, the Huawei Google Nexus 6P on the rear packs 12.3-megapixel camera. It sports a 8-megapixel camera on the front for selfies. 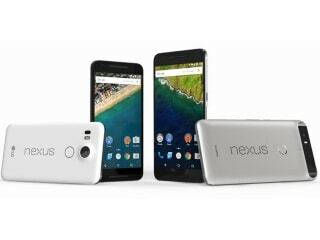 Huawei Google Nexus 6P based on Android 6.0 and packs 32GB of inbuilt storage. 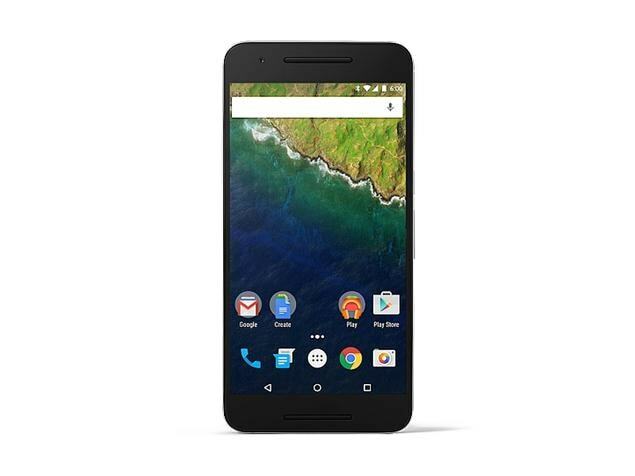 The Huawei Google Nexus 6P is a single SIM (GSM) smartphone that accepts a Nano-SIM card. Connectivity options on the Huawei Google Nexus 6P include Wi-Fi 802.11 a/b/g/n/ac, GPS, Bluetooth v4.20, NFC, USB OTG, 3G, and 4G (with support for Band 40 used by some LTE networks in India). Sensors on the phone include accelerometer, ambient light sensor, barometer, gyroscope, proximity sensor, and compass/ magnetometer. The Huawei Google Nexus 6P measures 159.30 x 77.80 x 7.30mm (height x width x thickness) and weighs 178.00 grams. It was launched in Frost White, Aluminium, and Graphite colours. As of 21st April 2019, Huawei Google Nexus 6P price in India starts at Rs. 14,999.